The National Institute for Health and Care Excellence (NICE) has released new guidelines on intermediate care. Facilitating timely transfer of care from hospital, intermediate care and reablement services are all aimed at maximising people’s independence and reducing unnecessary hospital admissions. They also support people who have increasing difficulty with daily life, and whose ability to live independently is likely to improve with specific support and rehabilitation. This is differentiated from the provision of ongoing care and support, which provides assistance with daily tasks to reduce risk of harm and sustain health and well-being. The National Audit of Intermediate Care divides intermediate care into four categories: crisis response, home-based intermediate care, bed-based intermediate care and reablement. 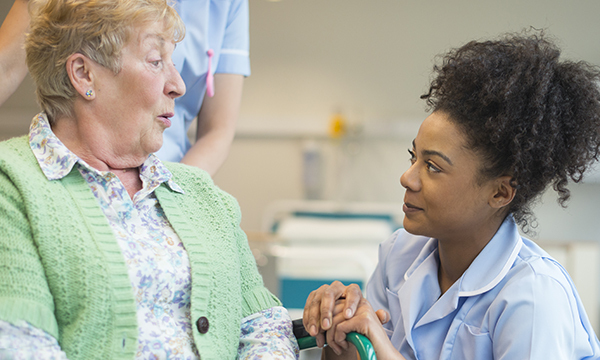 NICE has issued new guidelines on intermediate care, including reablement, and how health and social care staff can support people to be independent after a hospital stay or when life at home becomes too difficult. The new guidelines cover how to assess intermediate care needs and establish goals with the person concerned to help them overcome their problems. NICE urges staff to talk openly about risk but positively so as not to discourage people. The aim is to ensure that people can confidently accomplish what they want to do themselves and to ensure that risks are discussed and managed safely. Are living at home and having increasing difficulty with daily life through illness or disability. At all stages of assessment and delivery, good communication between intermediate care practitioners and other agencies along with people using the service and their families and carers should be ensured. ‘Hospital admission often affects a person’s function and physical capability, which often leads a reduction in independence. This is exacerbated in the elderly, who also take longer to recover function, if at all. ‘With this in mind, the National Institute for Health and Care Excellence is urging health and social care staff to support people to safely continue with everyday activities such as climbing stairs, dressing themselves or cooking after a period of illness, or if they have been struggling at home.